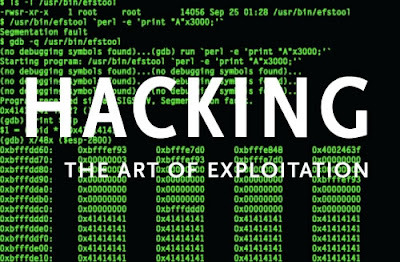 Home » Basics » Hacking » What is Hacking ? This is the most common question of every internet user. And perhaps you will be suffered with this problem. About 3 years ago, when I was new to internet and only used it for surfing facebook, orkut, social networks or something like this. That time, some of my friend says that he can hack my account, first time I heard about this "Hacking". After that I always thought about Hacking or What is Hacking? It is refers to the reprogramming or reconfiguration of a system without permission of owner or administrator. In a simple way, to know more about properties of a system. I'm not an expert to tell correct defination of Hacking. There are many meaning of Hacking or Hack. Generally, it is refer to criminal uses such as computer crime. A person, who having an understanding of the internal workings of a system, computers and computers networks in particular and breaks into computers and computers networks, either for profit or motivated by the challenge. In Hackers culture there are many different categories, such as white hat, grey hat and black hat. They are ethical hacker or tester who focuses on securing and protecting IT systems. They are specialized in penetration testing and other testing methodologies, to ensure that a company's information systems are secure. They are skilled hacker who sometimes acts legally and sometimes not. They are a hybrid between white and black hat hackers. They usually do not hack for personal gain. They breaks into networks or computers, or create computer viruses without authorization and specilized in penetration of information systems. They attack systems for profit, for fun or for political motivations or as a part of social cause. They are also known as crackers. This is a derogatory term for black hat hackers who use borrowed programs to attack networks and deface websites in an attempt to make names for themselves. Some hacker activists are motivated by politics or religion, while others may wish to expose wrongdoing, or exact revenge, or simply harass their target for their own entertainment. Governments around the globe realize that it serves their military objectives to be well positioned online. The saying used to be, “He who controls the seas controls the world,” and then it was, “He who controls the air controls the world.” Now it’s all about controlling cyberspace. State sponsored hackers have limitless time and funding to target civilians, corporations, and governments. Corporations hire hackers to infiltrate the competition and steal trade secrets. They may hack in from the outside or gain employment in order to act as a mole. Spy hackers may use similar tactics as hacktivists, but their only agenda is to serve their client’s goals and get paid. These hackers, generally motivated by religious or political beliefs, attempt to create fear and chaos by disrupting critical infrastructures. Cyber terrorists are by far the most dangerous, with a wide range of skills and goals. Cyber Terrorists ultimate motivation is to spread fear, terror and commit murder. There are several subgroups of hackers with different attitudes and different terms of aims. Now, I can't tell you more about hacking. If you have any query or doubt, ask in below comment form.